Northeast Remediation is often hired for projects other than full remediation. Many homeowners are only interested in having renovations performed, and not completely deleading their home. If a home is built prior to 1978, it contains lead. Unless all lead has been eliminated from the home, necessary precautions should be taken when performing any renovation or repair. Equipped with many skilled craftsmen and carpenters, our crews have the ability to perform a wide array of services and ensure that all appropriate steps are taken to prevent the contamination of your home. Our scope of work ranges from demolition to finished carpentry such as decks and landings. Often times, homeowners will decide to replace their windows for reasons other than achieving a letter of compliance. 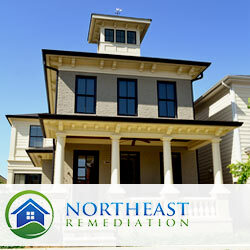 Northeast Remediation is able to replace all windows and ensure that the process is being performed correctly and to Massachusetts guidelines. Many homeowners do not understand the dangers that renovations can cause when not hiring licensed and trained lead professionals. Even if a lead report does not exist, it is assumed that your home does contain lead. The removal of all windows could potentially be spreading lead dust throughout your home, and into your air ducts. Preventing contamination is far easier than trying to clean up after the contamination has occurred. In many cases, when homeowners want to renovate their homes, they will hire a general contractor that does not have knowledge of lead safety. Proper containment and cleaning must take place in order to be confident that no lead dust has been released. If lead dust is created through a renovation, it is always a good idea to hire a licensed lead remediation firm to perform a final cleaning of the home. Should you be uncertain if your home was contaminated, a licensed lead inspector can perform a dust wipe test that will provide you with a clear answer. Depending on the test results, you will either be reassured, knowing your children are safe, or will be informed enough to take action before it is too late. Northeast Remediation provides professional hand-stripping of paint or lead paint off of furniture and other personal belongings. With the ability to perform all hand stripping services onsite or at our full service warehouse, we are able to address items such as: furniture, doors, sashes, handrails, balusters, moldings, mantles and more. Equipped with an experienced painting crew, Northeast Remediation has the ability to perform both interior and exterior painting on your home. We offer a flexible schedule and are able to accommodate tight timelines. Northeast Remediation crews are compiled of skilled tradesmen that are able to perform a wide array of additional services including but not limited to: remodeling, demolition, finish carpentry, Sheetrock installation and more! We serve the Suffolk County markets and more. Call today and let's talk about how we can help.